Martin Kaymer’s week at Pinehurst was absolutely crazy, and you can read all about it by going to my recaps at theScore, but there were also tons of great moments to remember like the one above with Payne Stewart’s daughter Chelsea reenacting her father’s famous pose. Check out the best GIFs and photos from the U.S. Open at Pinehurst. Rickie Fowler’s Payne Stewart knickers tribute. Martin Kaymer’s tennis ball training aid. This sums up Rory’s week. Justin Rose with the flub and #TourSauce. ESPN killing time with a salad bowl. Brandt Snedeker can’t get out of a deep bunker. Incredible bunker shot by Rickie Fowler. 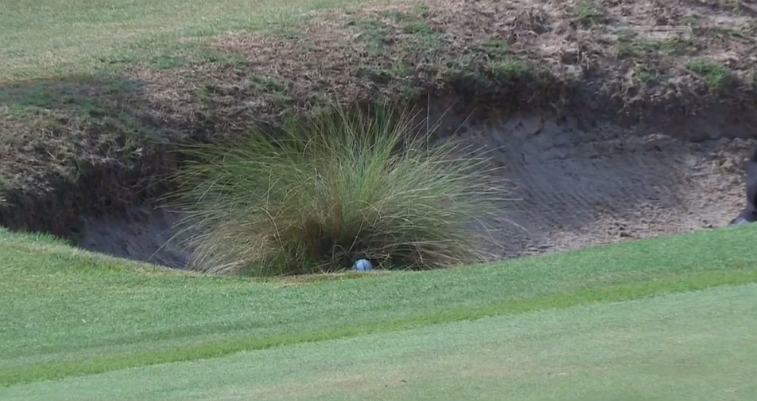 Kevin Tway gets really unlucky with hitting the pin and rolling into the bunker. Jimmy Roberts stares into your soul. Ryan Moore had some steam on that hole out. Kenny Perry holes out from the native area. Phil Mickelson with the slow-mo out of the sand. Kaymer drives the green on the par-4 3rd. Slightly unfair result for Rory here. Great shot. Zach Johnson aces the par-3 9th and then celebrates with the fans. Trou Taniguchi shot 88 on Saturday. Ken Duke had to putt into a bunker from here. 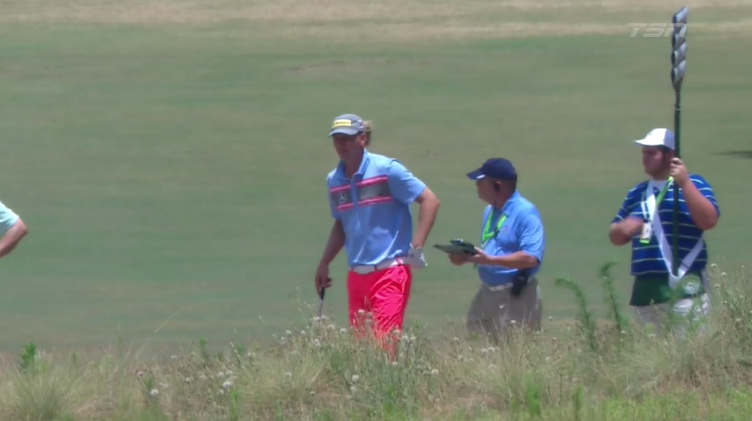 Marcel Siem’s outfit may have been ugly, but Bubba giving fashion advice? Sergio hits a sprinkler head. I don’t think Phil could have hit this any lower. Justin Rose’s tribute to Payne on 18.